A quick, example-driven overview of numerous improvements and new features coming to Ruby 2.4, including Integer#digits, File.empty? and faster regex matching. A look at the motivations for supporting partial file downloads in an HTTP client library and how some experiments have led to down (an open-uri wrapper) supporting chunked downloading. Quickly pinpoint what’s broken and why. Get the context and insights to defeat all Ruby errors. Reloading is the concept of re-executing Ruby code when it changes. 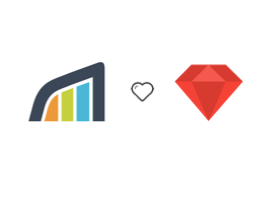 This article looks at the main approaches taken by Ruby developers. A demonstration of using Docker’s Remote API from Ruby to perform tasks like image and container creation. Not brand new but now updated for Ruby 2.3, TuneMyGC is an agent you run against your Ruby code, then a report is produced of ideal GC settings to try. Krzywda, Sutterer, Bowkett, et al. A more modular way to write your Sinatra app’s routes. Worth revisiting from last year. In this eBook you will learn how to set up a Continuous Delivery Pipeline with Docker and containers. Turn your CSV dumps into well-formatted, native Excel files - within minutes. Supports maximum size limits, redirect configs, streaming and more. A concept from Scala that could replace rescue blocks.